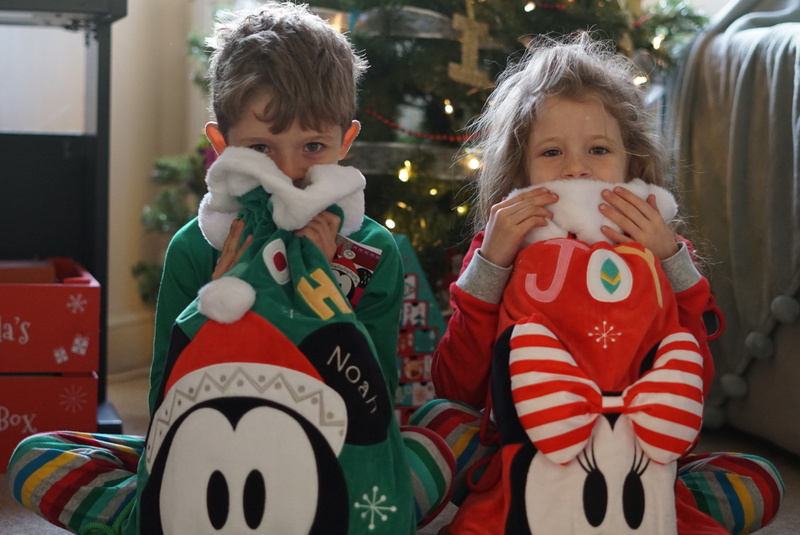 shopDisney sent us some fabulous Christmas decorations and accessories, we spent the day decorating our home and it really was the magic of Disney. Every year we collect a few more extra Disney decorations and this year was no exception. Disney really does make our Christmas magical, for the children and the grown ups. The main thing for me is bringing to life our favourite characters and stories. Creating a Christmas version of our favourites too and watching them dangle on the Christmas tree creates fabulous memories. The Disneyland Paris ornaments for example, remind me of my trip to Disneyland Paris and I simply cannot wait until we can take the kiddies there. They will love it. I actually have butterflies in my tummy just thinking about it. It was lovely seeing the children so excited about hanging their ornaments on to the tree. Isla started to pretend to be Elsa and freezing everyone after we had put the tree up. It made me giggle. She also found the glittery apple decoration we have and told me how it was the apple that Snow White had bitten. I love it when their imaginations run wild. The children are also very excited to see if Father Christmas fills the sacks up on Christmas Eve. Every year I buy the children Disney Christmas pyjamas, a Christmas soft toy and a Christmas book for their Christmas Eve box. This year we went one step further with personalised pyjamas, they look really cute. We got four new ornaments for our tree and now have a lovely collection of Disney decorations. I love my Disney tree. It reminds me of when I was younger and Mum used to hang our Disney ornaments on the tree. It makes me feel very nostalgic. I am really lucky too as my husbands family are huge Disney fans and so I feel right at home with them too. I am surrounded by Disney and I love it. I am glad I have shared that tradition with my children. What do you love about Christmas? Are you big Disney fans too? I would love to know in the comments below or on social media: @mummyconstant. We are huge Disney fans and those decorations and pjs are the cutest.